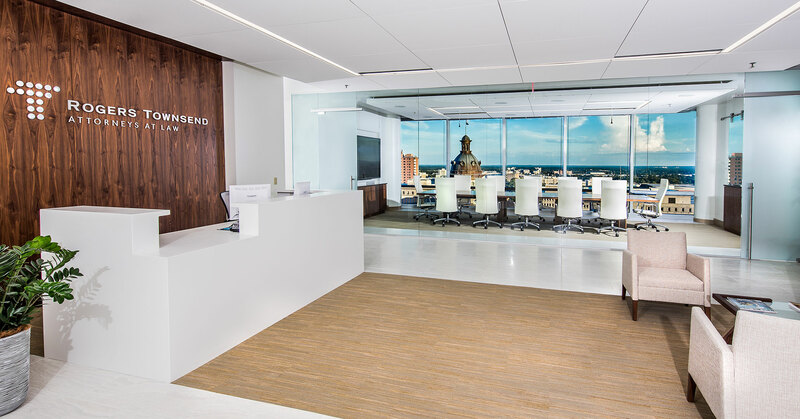 The renovation of Rogers Townsend encompassed 6,500 square feet of the 14th floor of the NBSC building. The goal was to create a space that focused on a team approach and collaboration. 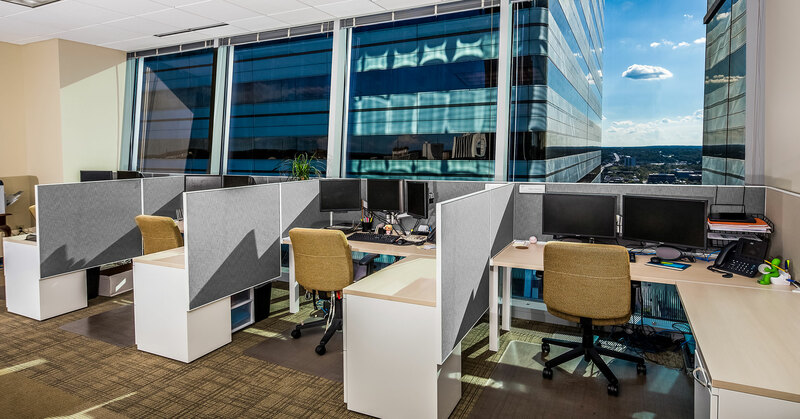 The design allowed for a mix of office types and work spaces; allowing teams to work in a variety of office settings. 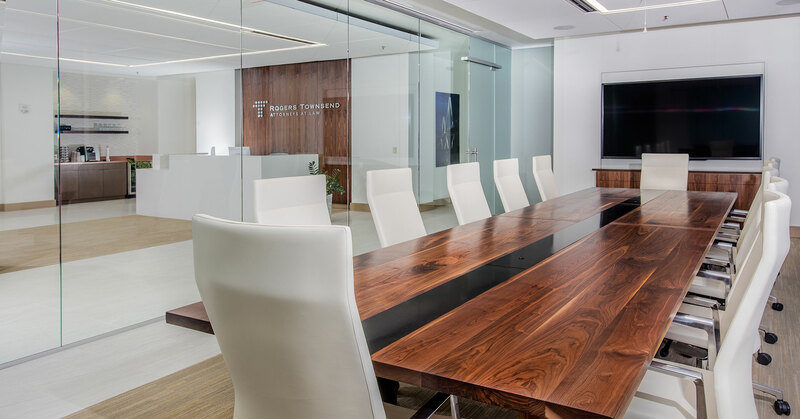 The main lobby and conference room showcases a sleek, modern design and reflects the brand of the firm. A focal point of the office is a glazed wall system separating the lobby and conference room, allowing visitors to see through the space and highlights the dome of the State Capitol.